I've been firing a lot of rimfire rounds lately. I really like 22lr. 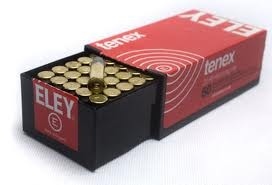 It's a small round, it can be fired comfortably on a small range, and it is really easy on the rifle barrel. 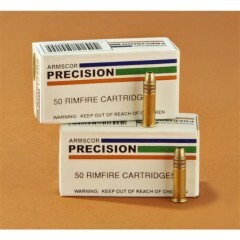 Read more about rimfire shooting on 6MMBR. The high pressure and burn temperatures of modern smokeless powder destroy centerfire barrels in 1000-5000 rounds, depending on caliber and accuracy expectations implied in the definition of "destroyed". By contrast, rimfire barrel life is measured in many tens of thousands, and sometimes hundreds of thousands rounds. Wearing it out is practically impossible. Rimfire rifles are amazingly sensitive to ammunition, and it is almost impossible to predict which would do the best in any particular rifle without trying. It is always advisable to buy large number of samples in small quantities to experiment before settling on a particular brand. However, there are trends. Some brands did poorly in all rifles and pistols I tried. And some were amazingly accurate across the course. Here are a few observations are on these trends. Hopefully they can help reduce the amount of testing, but they will not eliminate the need for at least some range time before you will be able to realize the full potential of your rifle. Rimfire ammunition such as CCI Velocitor or CCI Stinger all have much flatter trajectories, but fairly large groups. CCI MiniMag is an interesting exception, as it did reasonably well in my testing despite its over 1235 fps speed. I have never seen a firearm that would do well - or even acceptable - with Aguila loads. These produce 4-5" groups at 100 yards in all my rifles. I was stupid enough to buy a brick of Aguila a long time ago, and I test it with all 22lr rifles and pistols that I get, and the result is always the same. Most of this brick is still with me now :-(. Likewise, I am yet to see a firearm in which either Remington or Federal Target ammunition would do well. I occasionally buy small quantities for testing, but by and large I gave up on them. Normally I do not have much good to say about Wolf. They sell some of the cheapest centerfire ammunition that is not very accurate, dirty, and non-reloadable. 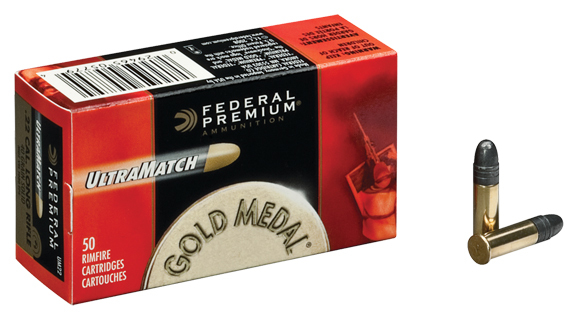 But their Match Target rimfire ammunition is actually very, very good - and is the best for the price. 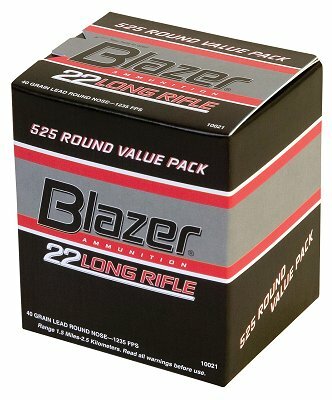 It have produced consistently small (around 1" at 100yd, 5-shot) groups in many rifles I tried, and at $5/box it is not breaking the bank. I now shoot it almost exclusively in every non-competitive setting. Wolf also makes a more expensive Match Extra ammunition. I have not tried it myself because the reports on the Internet almost universally agree that there is no difference. 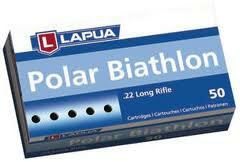 Get your Lapua fix in Precise Shooter Store. This is not universally true, but there is a strong correlation. Lapua X-ACT, Lapua Midas+, Lapua Center-X, Lapua Polar Biathlon, Eley TENEX, Federal Ultramatch all shot very well in most rifles. 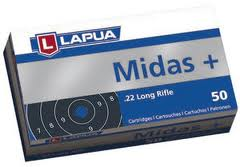 The difference is more pronounced in proper competition rifles than in plinkers, and the ordering within the group is not stable - I have rifles that shoot a cheaper Center-X much better than the more expensive Midas+. As with any rimfire ammunition, get a very small quantity and try it in your rifle before committing to a large purchase. I have had reasonably good experience in a variety of rifles with CCI Standard Target and American Eagle, both in pistols and rifles. CCI Blazer, while very inexpensive, does very well in my Ruger MKIII, for example, where it reliably produces under 1" 10-shot groups at 25 yards, with American Eagle not being far behind. Armscor Precision 22lr is very inexpensive, and it works very poorly in all my but I have never, ever shot a group smaller larger than 2" at 25 yards with iron sights from my Ruger MKIII. The scope on that gun just came back from repair and I have not yet had a chance to try it without the scope, but I am fairly sure that it will do less than 1" with the scope mounted.